I had three releases in February. Did you get them all? I also did a quick interview with Literary Escapism that went live at the 11th hour right before Coastal Magic Con…you might have missed this one, because I almost missed it myself! Click here to check it out. Support Your Local Princess today! It seems Patreon was on everyone’s brain the other night. 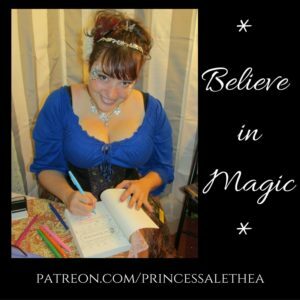 While I was at Orlando Book Festival, a few budding authors asked me how to launch a Patreon campaign–I recommended they first Follow a few established authors already there. It’s good to see what variety of content is being created for Patrons right now…because there are some really talented authors out there doing a plethora of really amazing things. So yesterday I asked my author friends on Facebook to link to their Patreon pages — which was AMAZING, because it seems I have friends on Patreon that I didn’t even know were out there! Like most of y’all, I don’t have the money right now to support every single one, but you can bet I’m going to Follow them and keep on top of what they’re doing. BECAUSE FOLLOWING IS FREE. I highly recommend it! Folks get mad about creators “selling out” but don’t seem to understand that most are poor or just barely above the poverty line. There comes a point where you can’t have a day job & make the transition successfully to being a full time creative without sacrifice. Patreon & Paypal took a lot of pressure off for me. I don’t have to chase checks because I can just write now. I could use more money. We could all use more money I’m sure, but man…that’s so many hours back from pitching & nagging outlets to pay me. I’m way more productive. And I am writing more fiction (better fiction tbh) as well as longform nonfiction. Because money stress kills creativity. Just so you know. I feel bad that more people aren’t getting their work supported so I retweet people’s book posts & Patreons etc. Because I know poverty. I want people to be able to eat & see a doctor & have decent housing. If you can’t afford to contribute? That’s fine. RT & post it on FB. Do that for whatever stuff moves you. Seriously that does a lot. Matter of fact, reply to this tweet with your Patreons & Paypals & GoFundMe’s etc & I’ll retweet you. Go on. …and she did. 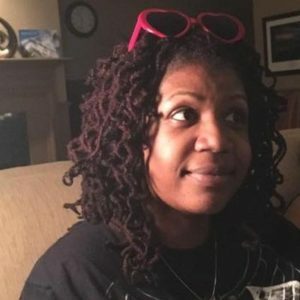 If you want to see an AMAZING collection of artists creating EVERYTHING and making the world a more magnificent place with every breath they take, click here and just skim down Mikki’s Twitter feed. The links are still coming! But here, for posterity, I will list a bunch of my own friends, and friends-of-friends, and heroes-of-friends who are authors on Patreon. Most of these are science fiction, fantasy, romance, or horror. Some will just plain-old write for money, but many offer additional perks, like writing tips and advice. There are also authors who do art and cosplay, record podcasts, give sneak peeks, and release original videos! CHECK US OUT, YO. Follow us, support us…invite a little magic into your life! Gwenda Bond is creating stories and sharing the process. Welcome to HQ. 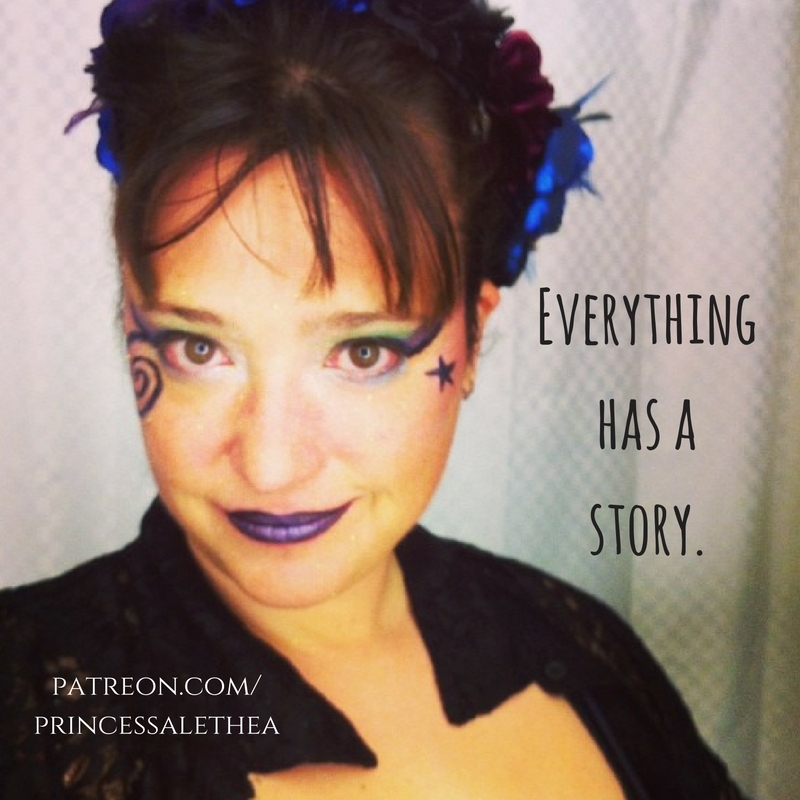 Sephera Giron is creating stories, videos, and blogs. Don’t see an author on this list? Leave a link in the comments! Want to link to someone who is an artist or a musician? I’ll make separate posts for those soon!